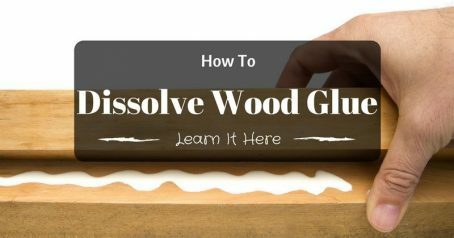 How to Glue Felt to Wood: Do it in a simple way! » How to Glue Felt to Wood: Do it in a simple way! Starting to do woodwork for the first time? Don’t you know how to glue felt to wood? You shouldn’t think much about it; it’s simple just as tying shoelaces once you learn it in a perfect way. 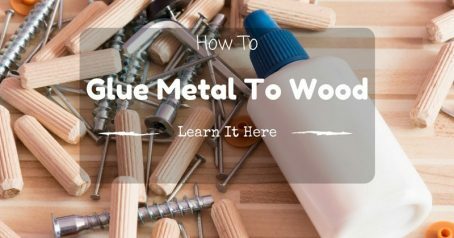 Yes, you heard it right; this basic woodwork job is slightly complicated. The felt is a tricky thing to handle and creates a whole lot of mess as it soaks up quickly. A non-woven fabric felt is made by using natural fibers, water, soap, and agitation. The fabric itself has a lot of distinct qualities. Its beauty does not lie in its texture or appearance; rather this lightweight fabric is versatile in terms of strength and durability. Moreover, it is 100 percent biodegradable in nature. It is not surprising to call this fabric as a very family friendly one because it repels dirt, moisture and resists fire. 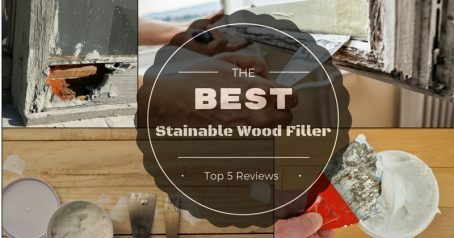 Why We Need To Stick Felt To Wood? 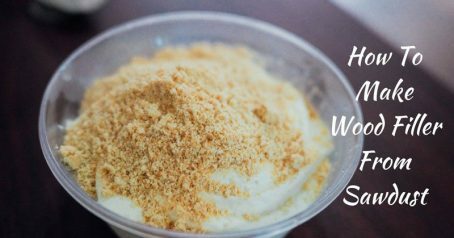 If you are a woodworker, or if you plan to do some woodwork for your house, you certainly know the importance of using felt. 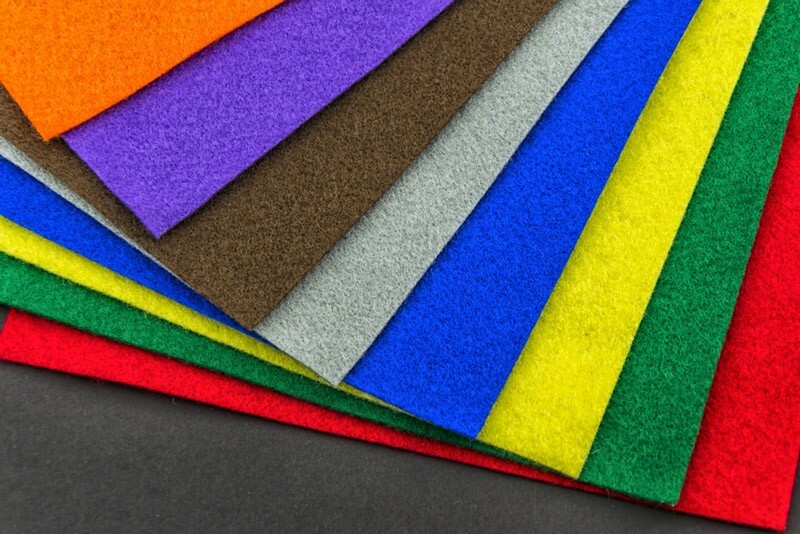 A felt is mostly used to stick any surface together in order to increase its aesthetic qualities, prevent it from getting spoiled by scratches and removing friction. No matter how useful a felt is, sticking it with glue is a big task. If you have dealt with it, you know how it can mess up with your things. No matter how hard you try, the felt will easily soak up the glue. Sometimes, you are challenged to add felt to small or tight places. 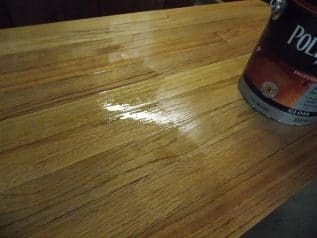 It can be a difficult task but by following simple and easy tricks you can easily simplify the glue sticking task anywhere in your house. Make sure you are not in a hurry. Sticking felt to glue might be a complicated task so you need to have a lot of patience to perform this task. Billiard Cloth: It is a high quality cloth. Using this cloth, you can reduce the complication of spoiling the felt to a great extent. Weldwood contact cement: This is used to fasten felt to wood. Make sure it is sprayed only on the felt without spilling it anywhere else. Felt brushes: It is used to apply cement. Roller: These brushes are used to apply glue on the surface. Using felt in an effective manner can be tricky for those who are a beginner. With little guidance and carefulness, you can ensure avoid spilling of the glue making the surface clumsy. 1. Apply a very thin coat of glue onto the cloth. The coat should be precisely thin forming a pin-sized ball of glues on the surface. To make sure that you do it very finely, use a soft brush with just ¼” bristles. Such a small brush is ideal for really small-time jobs. 2. Next, in order to permanently fix felt to wood you need to apply a thin coat of contact cement on the wood. Again, this coat should be carefully applied in a thin layer. 3. In the end, place the cutting of cloth on the wood and press down gently. This seems to be a careful stage where you can finally see how neatly the felt is glued to the wood. 4. 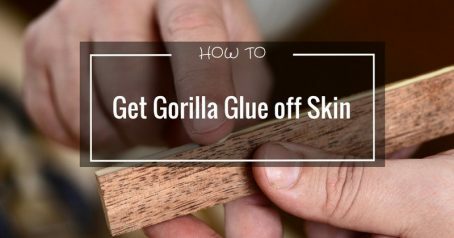 Use the roller brush to evenly spread the glue on the wood. This will eliminate the formation of lumps on the wooden surface. 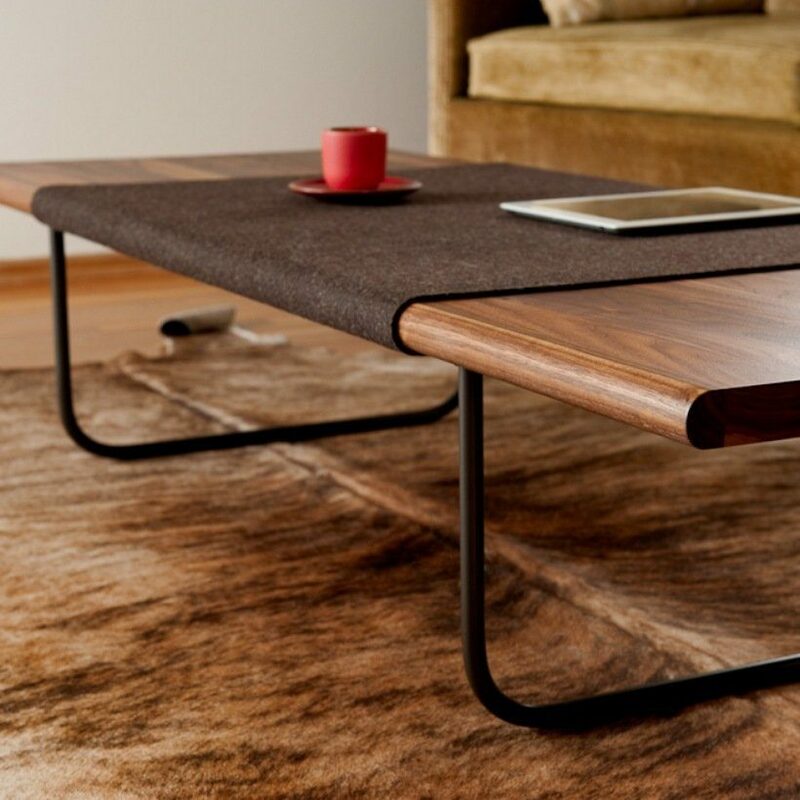 It is true that felt is a desired on many wood projects. Felt can be a really useful even if you are not an expert in handling it. It helps in boosting aesthetic qualities of a wooden project. As it is made up of condensing multiple fibers together, it does not unravel like other woven fabrics. So, even with little amount of carefulness, you can achieve better results. Some of the useful tips are listed below. Selection of a perfect felt: In order to get fine results, it is recommended to use higher quality wool content felt. It lasts for a long time and gives a smooth finish to wooden surface. Such type of a felt can be cut easily and is heat-resistant. Application of glue: This is the most important step for all felt-users. You can master the simple process of applying super thin layers of glue before pressing felt on it. 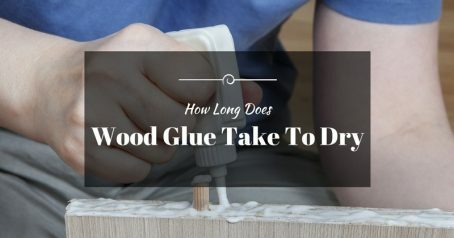 The glue should be applied evenly on one side of wood and on the felt. Putting pressure: To ensure evenly bleeding of glue, you should place a wax paper on the felt and then place a heavy object on the felt. Let it dry: Felt should be given a good amount of time to get dry. To do so, it is recommended to let it rest for few minutes. It's only after some time, you should remove the wax sheet. Usage of Rollers: Roller brushes are used only when the area of placing felt is too big. Roll it over the felt to smoothen the wrinkles formed due to felt. Cutting Felt: Very often our wooden project demands to trim felt. Felt can be trimmed by using a sharp pair of scissors. A neatly cut felt with crisp edges cannot be achieved, if we use a scissor with blunt tools. 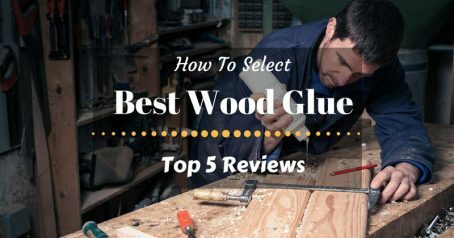 So, now you don’t have to avoid using rather after reading these valuable tips, you should now be an expert in how to glue felt on wood. It is suggested to be a little keen with following the steps and tips provided in the article. With these simple woodworking skills, you can beat any professional. Moreover, do you know that felt can be and sewed creatively to do crafts and create beautiful looking designs? Well, you never know if you keep practicing it someday you can make money out of it. Come out of your cocoon and master this art!